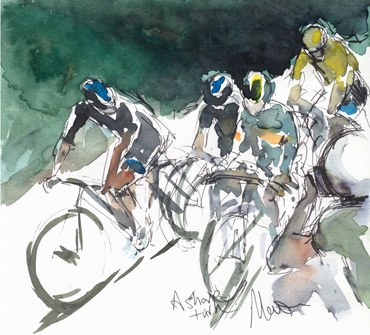 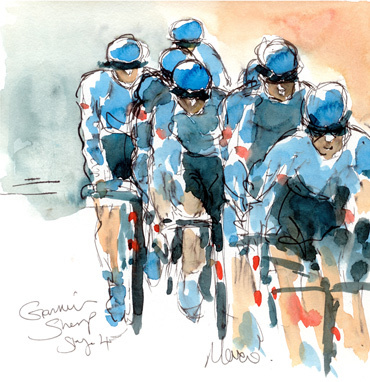 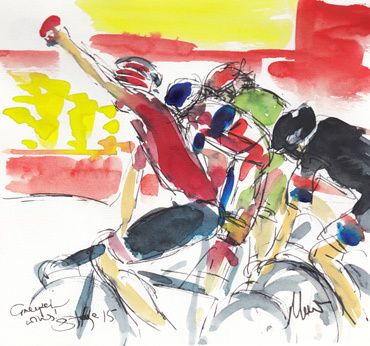 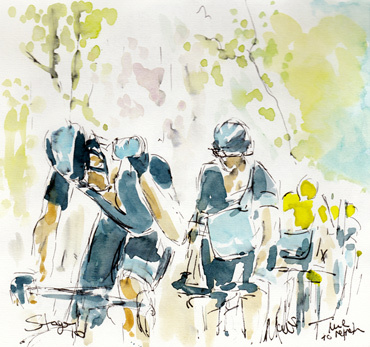 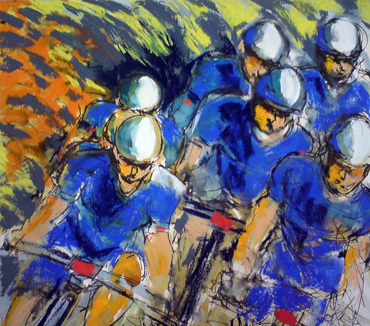 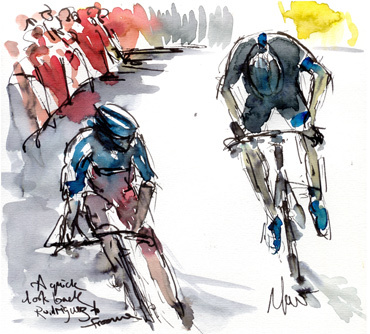 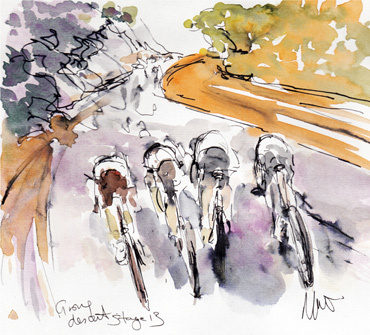 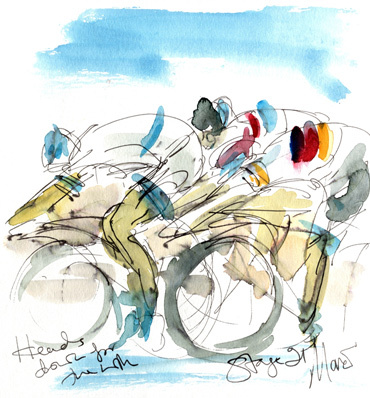 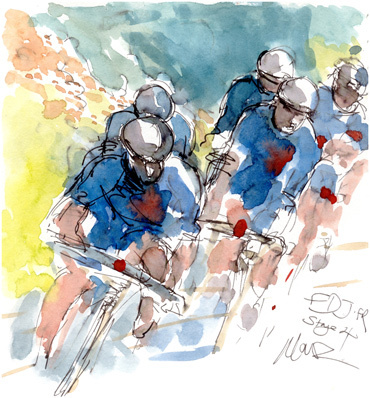 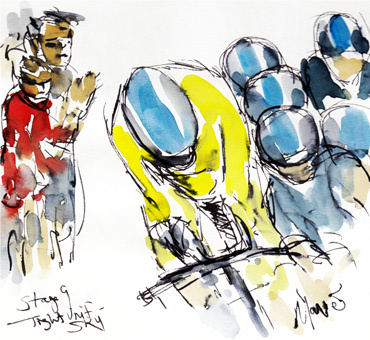 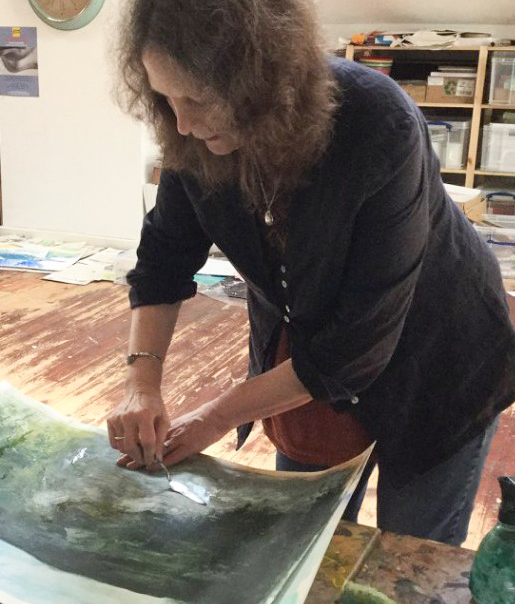 The theme of my work is speed and movement, often with sport as the subject - specifically endurance cycling, taking inspiration from the Tour de France, La Vuelta de España and the Tours of Britain and Yorkshire. 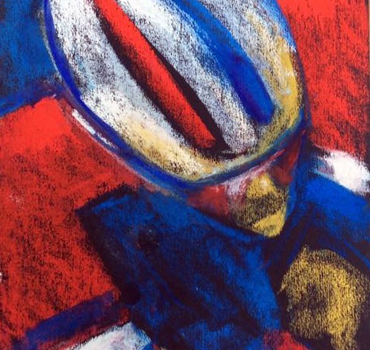 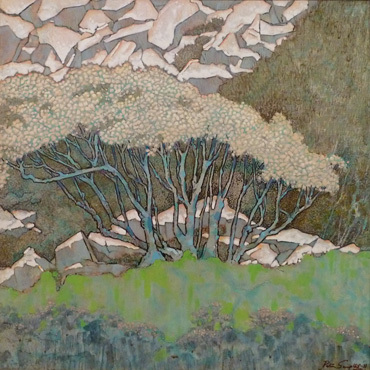 The subject has great abstract qualities, showing colour and graceful lines. 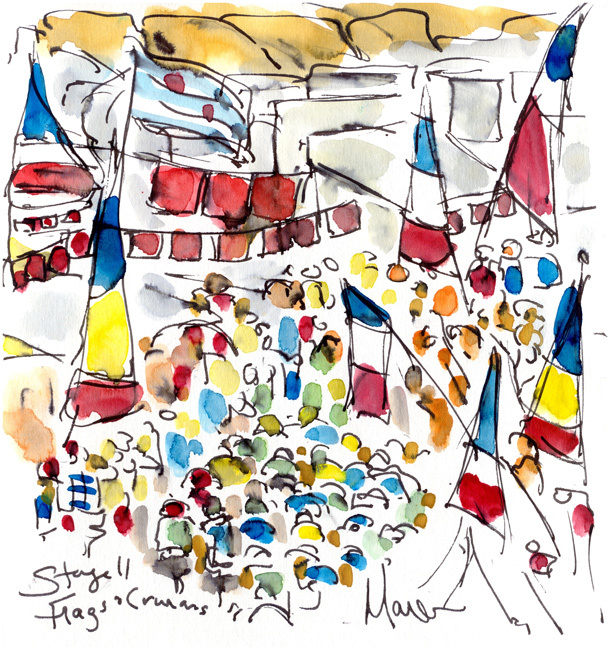 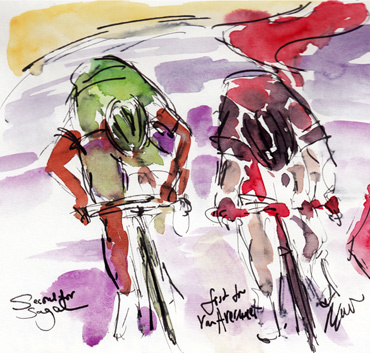 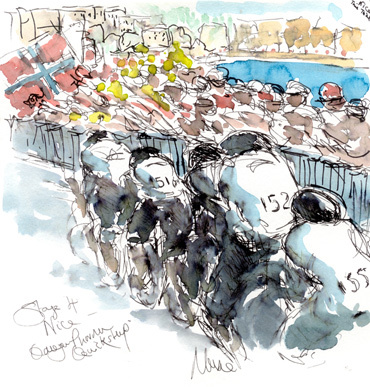 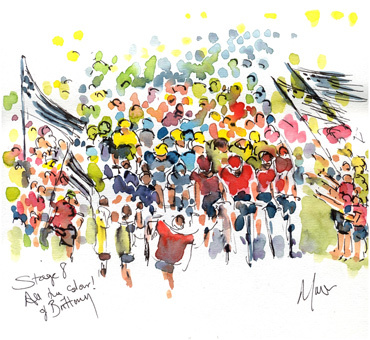 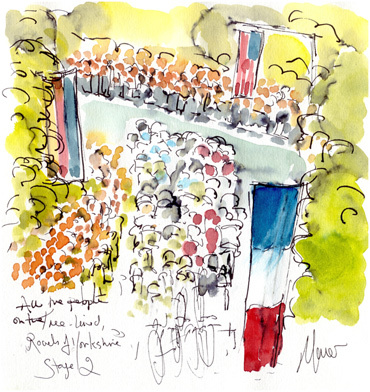 The teams’ colours have a rhythm as the riders move, singly or as a group, the flags and banners waved by the crowds of fans, all set in the open landscape. 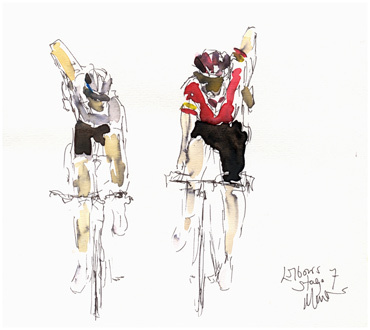 It is these qualities along with the speed and energy of the race itself that my pictures endeavour to convey. 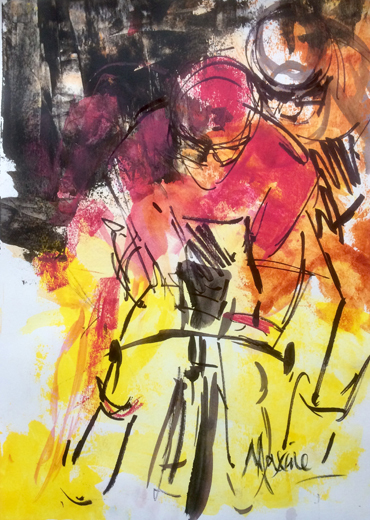 The medium of pen and ink with watercolour is intense and risky, but quick and responsive, suiting the theme with its twists, turns and bursts of energy, which for me, is endlessly fascinating.